As family offices grow in Asia, issues such as institutionalization and succession planning are becoming more important in the region, according to recent findings from INSEAD. INSEAD surveyed 123 families throughout the Asia-Pacific and the Middle East to find out how they are maturing. The findings are the first in what will be a global survey of family offices focused on institutionalization. “Over 30 percent of the Middle East and Asia’s family offices will go through a generational change in the next five years and so it was important for us to understand how they are dealing with the transition,” explains Claudia Zeisberger, Senior Affiliate Profes-sor of Decision Sciences, Entrepreneurship & Family Enterprise at INSEAD. The survey comes out of work Zeisberger and re-searchers at INSEAD started in 2015. During that time, INSEAD wanted to develop a global family office barometer. Through the questioning, researchers realized it would be important to focus in on issues around governance, institutionalization and working with outside partners. They used those insights to craft the questions in this survey and have come away with notable findings. 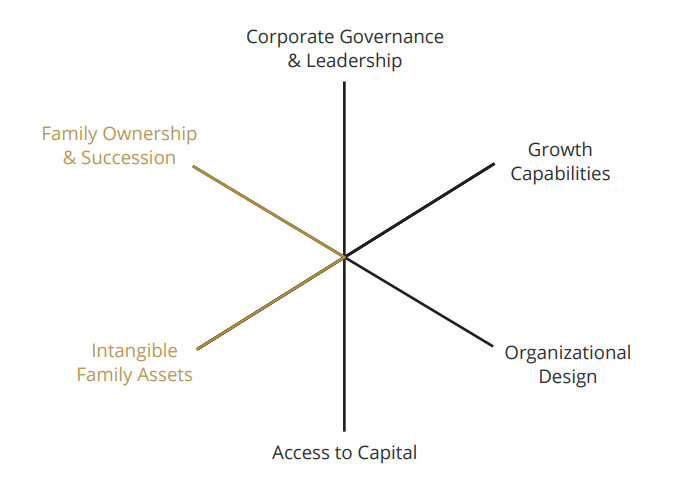 INSEAD’s research breaks families into two groups – the champions and the ascendants. The champions are family offices that have existed for more than four generations and operate similarly to large corporations. The ascendents, as the name likely suggests, are working their way up the maturity curve. These families are in generations one to three and need to work through governance issues. The exhibit below outlines the aspects of institutionalization that are important for families to get their arms around. Family Attributes – Measure the sophistication of engagement between the family and the business and the family’s unique strengths. 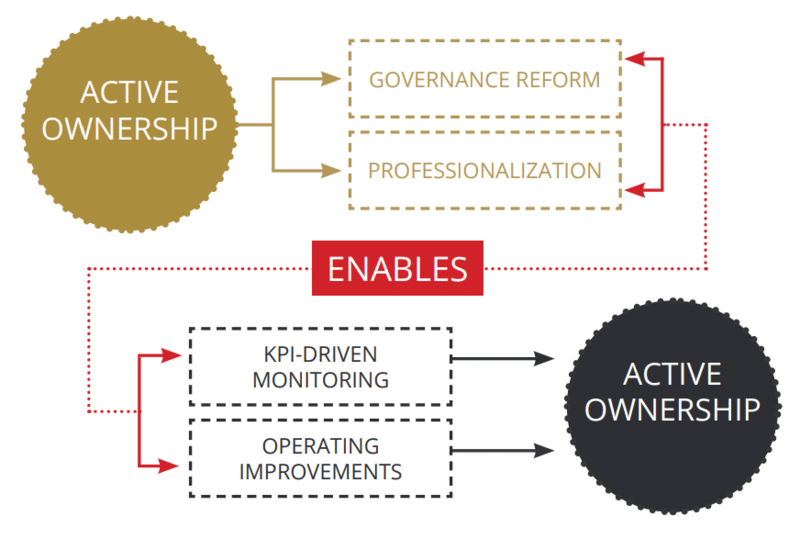 Business Attributes – Measure the strength of a family firm’s operating model and its ability to sustain competitive advantage. Family Ownership & Succession: Assesses how the family engages with the firm as owners and leaders, and whether the family is aligned regarding the future of the firm. Intangible Family Assets: Assesses the importance and strength of family values, connections and heritage in the day-to-day operations of the family firm. Corporate Governance & Leadership: Assesses the composition and capabilities of the bodies and individuals that drive decision-making at the family firm. Growth Capabilities: Assesses the family firm’s ability to identify and execute organic and inorganic growth strategies in the firm’s specific geopolitical context. Organizational Design: Assesses the existence and effectiveness of the systems and formal policies used to govern the day-to-day operating activity of the business. Access to Capital: Assesses the family firm’s ability to raise debt and equity capital to fund current and future business operations. According to Zeisberger, very few of the ascendant families will exhibit many of these factors. They often lack independent boards or KPIs and have yet to think through an organizational design that includes succession planning. In addition to professionalization, private equity can help families source management if the upcoming generation isn’t interested in the day to day operations of running the family business. “We see this a lot, especially with China’s one-child policy. The children recognize that there is a profitable family business and they will be expected to take it over but their heart is really interested in something else. Finding an experienced management team can solve for some of those tensions,” Zeisberger says. Still, it is important for families to enter these partnerships with their eyes open, Zeisberger warns. Private equity firms tend to have a longer time horizon than many outside investors but it’s not an indefinite one. Private equity managers are obligated to return money to their investors within a predefined period, which may mean some tension if the family business undergoes change at a faster rate than family members expect. The first set of findings, highlighting responses from families in the Asia-Pacific and the Middle East is available here. The next set of findings in INSEAD’s global survey will look at families in Latin America.